and how probably most of your wardrobe are probably basics & you still claim to have nothing to wear with such an “eccentric” piece. 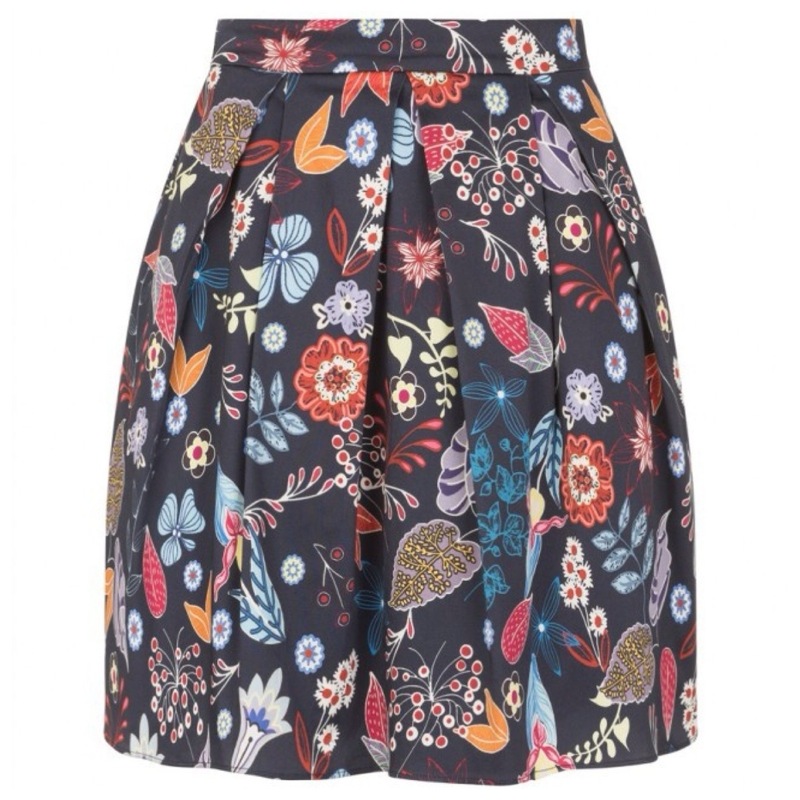 One of my uniforms at the moment is an “eccentric” blue floral skirt & I’ll show you how you could style it up around the clock! 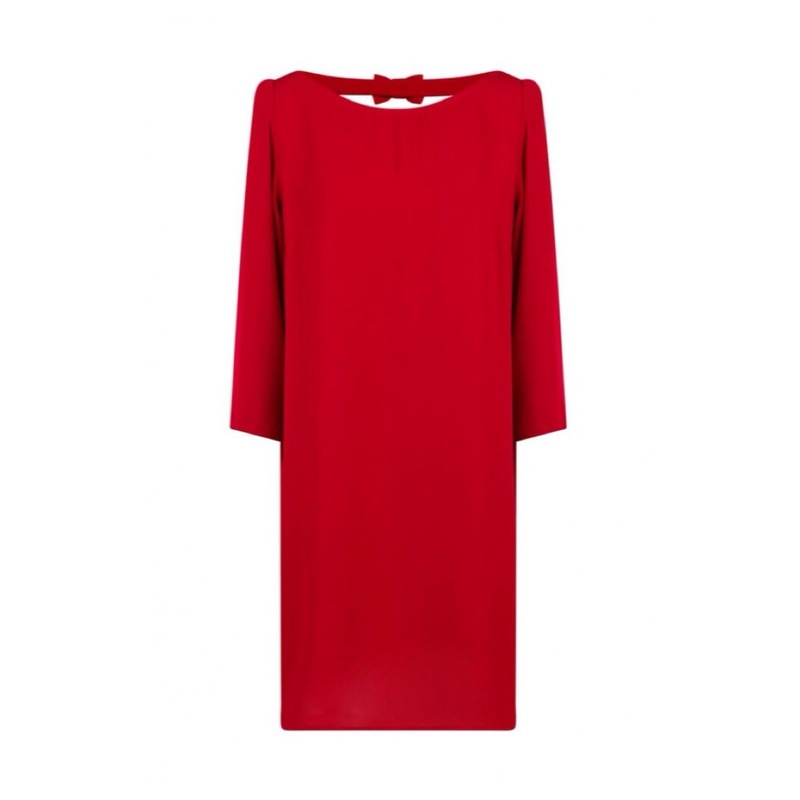 Every woman needs a red dress in her closet (and some red pumps of course). Red is such a vibrant color. It can make such a statement. Naf Naf – €59,99 (but €41,99 for the next couple of 10 days). This dress has the most basic cut you could imagine. But it does have a cute bow in the back. The skirt is very colorful so you can match it whatever you like. 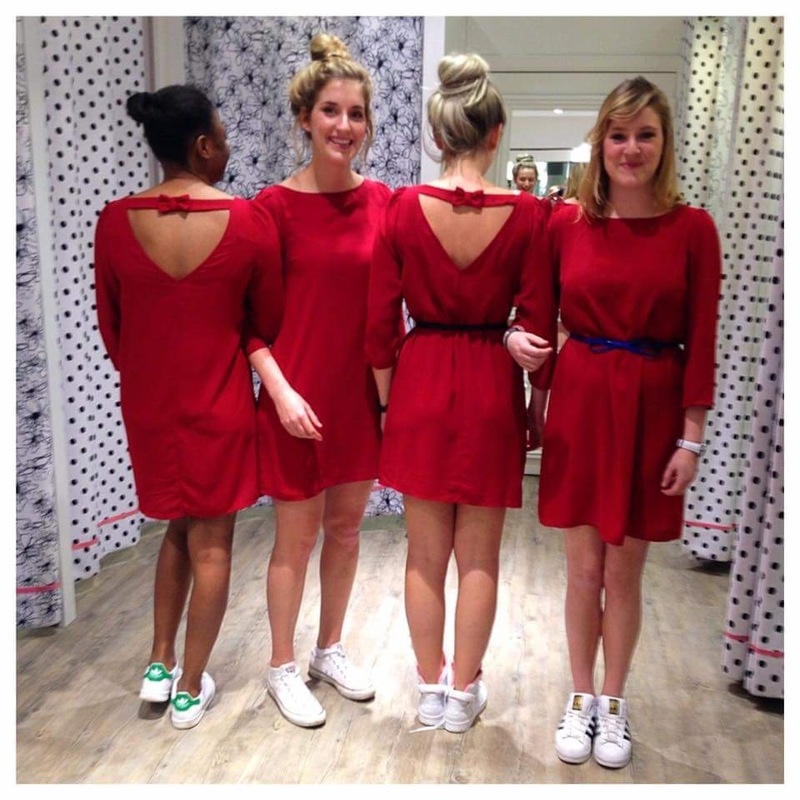 So this red dress is for sure a matchmaker. 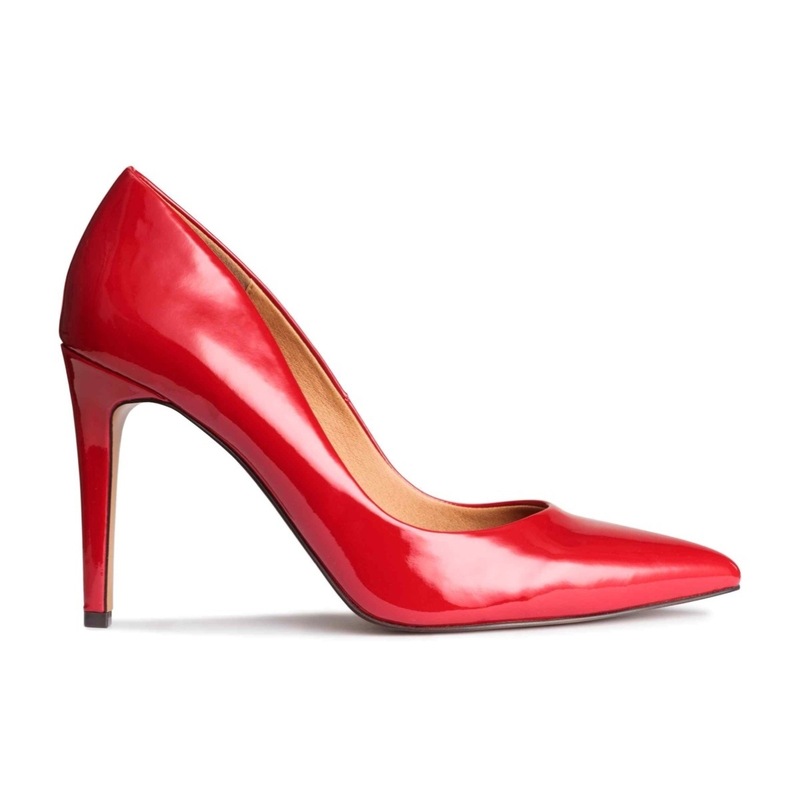 Together with some matching red pumps, you have a whole new party proof combo! No one has to know you’re wearing a dress underneath. They’ll probably never notice….